Fortinet released its Q3 “Quarterly Threat Landscape Report”, and in it, they detailed an uptick in malware, exploits, and threats. From July – September unique malware threats increased by 43% and the number of malware families grew by almost 32%. Cryptojacking, malware that surreptitiously mines cryptocurrency on infected computers, is a serious growing threat. The cryptojacking malware itself doesn’t necessarily harm your computer, but what it often does is bring down your antimalware software and create holes in your firewall, which makes your system vulnerable to more serious threats. Mobile malware is another rising threat that many people don’t think about as being a risk. But our phones are computers just like the PCs we do our daily work on and can be exploited. Android leads the pack with infections due to being more popular worldwide and more open than iOS, allowing users to install applications from outside of the Google Play Store. Some of these apps coming from 3rd party android app stores are actually trojans that can steal your information and use your phone as a zombie in a botnet. Ensure that your systems are up to date on any patches and that your firewall and antivirus are current. Make sure that, if you own an Android phone, you do not install any apps from outside of the Google Play Store. While the issue has become more pronounced over the years, the vulnerabilities of printers are still very underestimated and often not taken into account. 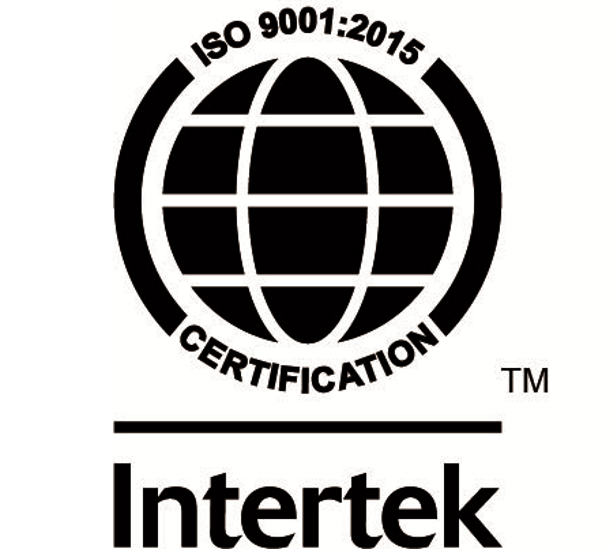 The problem with printers is that many IT professionals see them as low risk, if not a trusted and reliable device. Often people do not think of printers as what they are—endpoints. If is connected to the network and can be accessed, it has the potential of being a vulnerability. A lot of the common issues with printers are that they are not adequately and routinely patched. Spotify user, beware: a phishing campaign is targeting you in the hopes of collecting your user credentials. Bogus but well-crafted emails have been spotted, aimed at Spotify customers. The emails attempt to dupe users into clicking on a phishing link that would redirect them to a deceptive website. Once at the site, users were prompted to enter their username and password, which will be reported to the adversaries who have crafted the scheme. This wouldn’t matter too much if users didn’t reuse their passwords on other online accounts. Readers of this blog have been warned before never to reuse your password, but as we are gaining new readers each month, it makes sense to repeat this tip. Also, when attackers have the passwords in plaintext, as it was captured in the above example, they are often able to discern key information about the user from their password. While many people use common word and number combinations like ‘password123’, many people use their pets’ name. Seeing a password like Tigger90 might lead an attacker to guess the victim has a cat, and they were born in 1990. Social Engineering is a powerful skill and one that can be leveraged to hack other accounts, even if the password wasn’t reused. Check any links in the email aren’t misdirecting you. Hover over any URL and check the preview (usually shown at the bottom of the browser window) to ensure the target is the correct, as above. If you aren’t certain, open a new window and go to the specific site by typing the URL or using your bookmarks. After you log in, check for new messages. Make an effort to use a password manager. Password Managers store your login credentials securely and allow complex and long passwords to be used, which prevents any hacker from building a profile from you should the passwords become revealed. Whether us you use Spotify or not, this method of attack can be aimed at any online service: social media, banking, or email. These tips can protect all of your accounts from this kind of attack. A recent malvertising campaign that targeted iOS devices and hijacked over 300 million browser sessions in as little as 48 hours. Researchers found that the campaign started around November 12 and that the malicious actor behind the campaign is still active to this day. The goal of the malvertising campaign is to inject malicious code into legitimate online ads and webpages. This allowed for a redirection to a malicious page when the ads are clicked by unsuspecting users. In the case of this recent campaign, it redirected users to adult content and gift card scams. The malicious pages that users are redirected to attempt to further phish visitor data. The attackers are hoping to commit further affiliate marketing fraud or steal personal identification data such as email, physical address, revenue information, purchase history, and more. Be vigilant when browsing webpages, if it sounds too good to be true it is most likely malicious in nature. Use a browser extension that blocks advertisements on all websites, and whitelist or disable for known or regularly visited websites. Netizen captures many phishes each month, which we feature here. 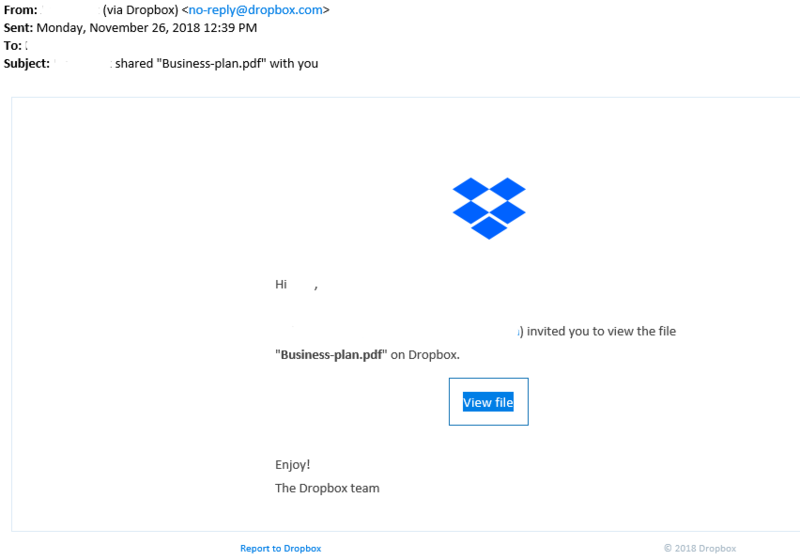 This week we have received several emails from users whose Dropbox and email accounts have been compromised, prompting the recipient to click on a file download titled “Business-plan.pdf”. This email was sent to everyone in the compromised accounts’ contact lists, along with the file linking to the official Dropbox website giving the phish a more valid appearance. The best way to protect yourself from even relatively sophisticated phishing emails such as this is, especially when you get an email from a contact that you haven’t heard from in a long time, to make sure you contact the person asking for clarification on what this is and why it is being sent to you. If their emails are vague and urge you to just view the file, you should automatically be very suspicious and report this to your IT department.